In November 2015, B and I went on a weekend trip to New York State to visit friends and their farm. They were folks known to B but it was to be my first time meeting them. I knew that the wife of the couple was somewhat of a fibre freak like me so I was really looking forward to it. I had no idea on our way there that she and I would become fast friends and that I would leave with a new impatient addiction to feed! 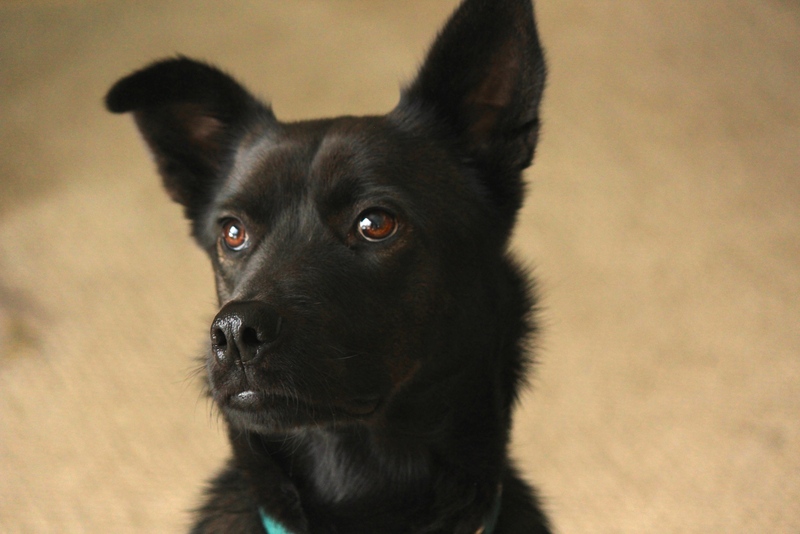 Sweet and rambunctious …I Just wanted to snuggle him and take him home with me! Spent much of the evenings snuggled up to next to on the couch. I have never had much of an opportunity to spend time with a pit bull and this was a good first time! So sweet and quiet! 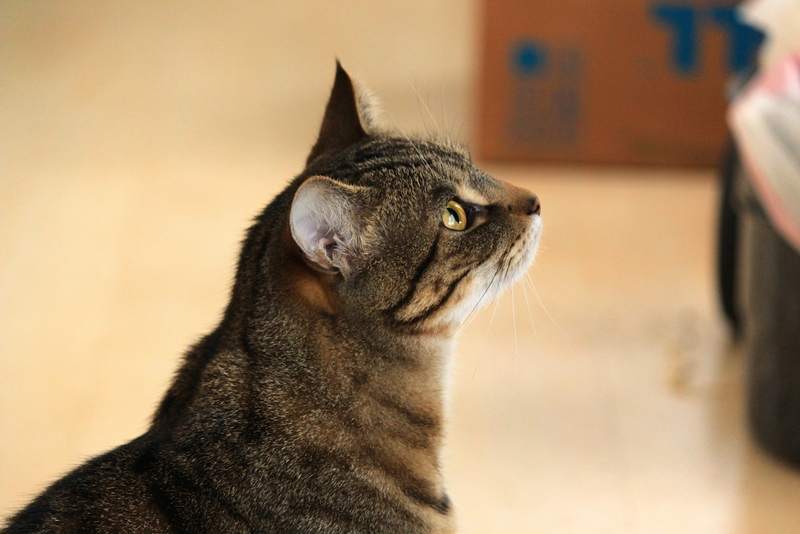 Three cats on site…though only a picture of one. Made me happy. Love felines! 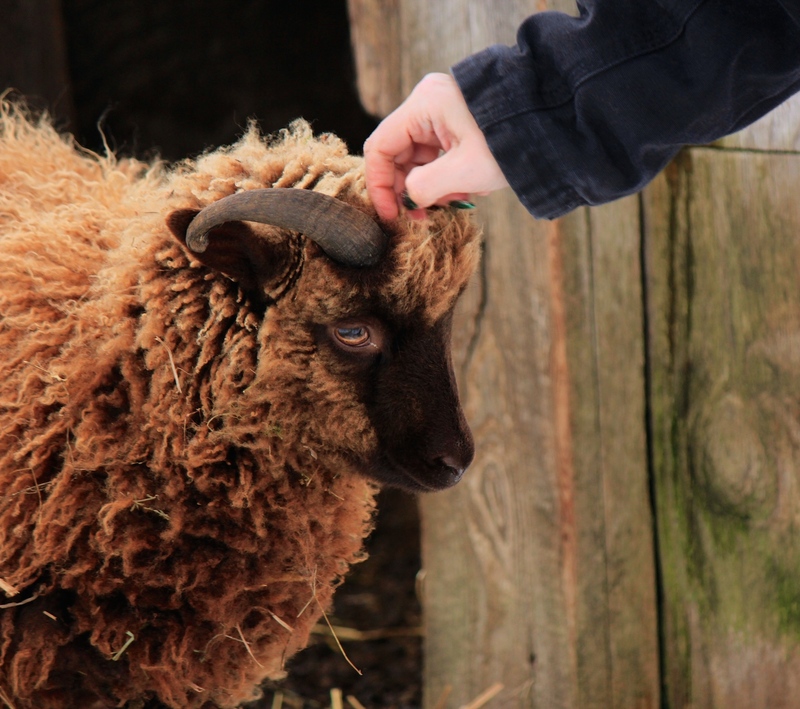 And this brings us to their awesome, lovely Shetland sheep! So, now that the stage has been set…on to spinning! 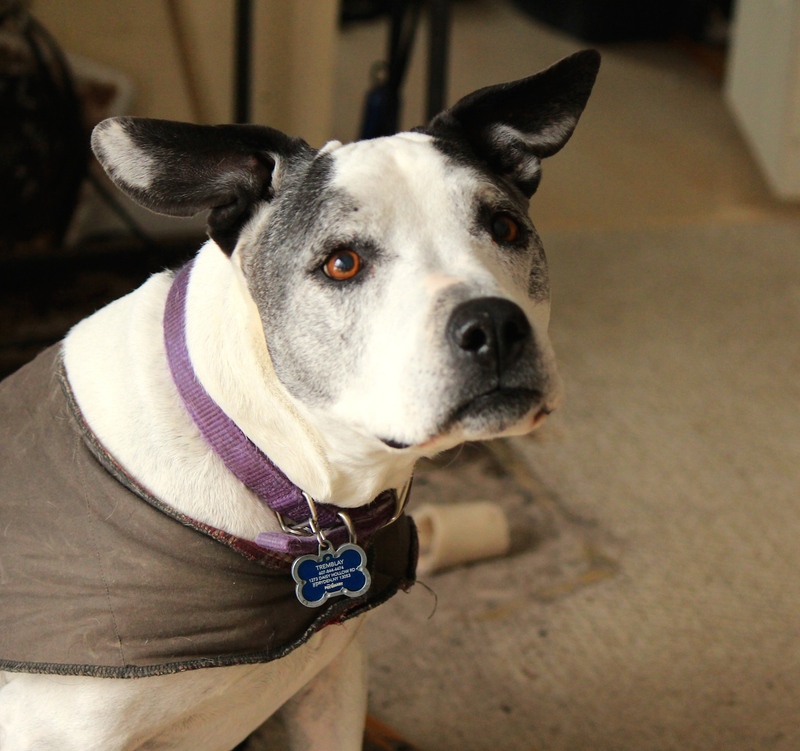 When I arrived, I was introduced to this lovely lady and told that she was mine for the weekend. An Ashford Traditional spinning wheel from the early 1980s. I fell in love! 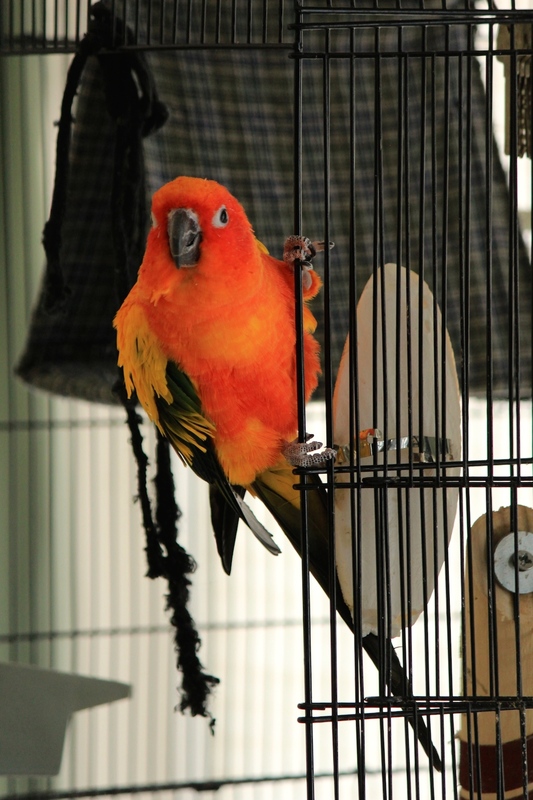 Absolutely gorgeous….learning on this wheel was a pleasure! I couldn’t have asked for a better intro to spinning. I had no idea I would enjoy spinning so much. On a practical note, although crochet and knitting are awesome and I spend a lot of travel time and tv time working on projects, my wrists and arms tend to get irritated with the constant repetitive motion. Spinning breaks up that repetition with something completely different that gives my arms a break. 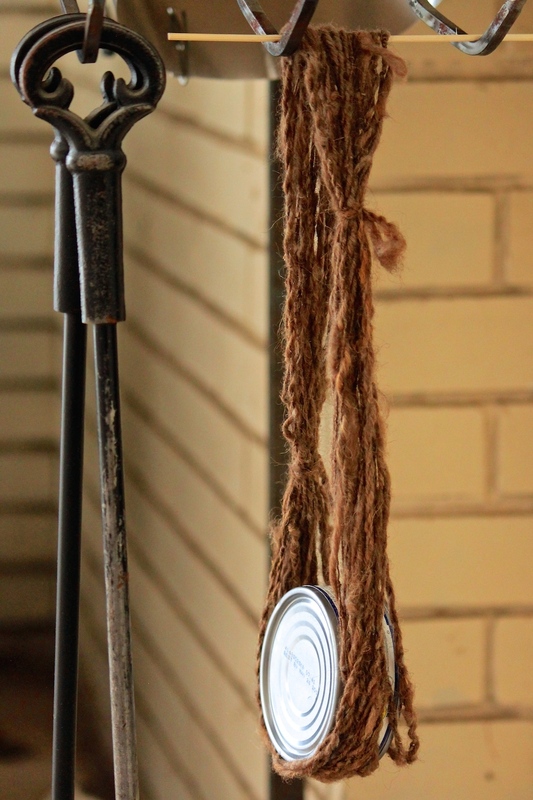 But from a more spiritual and ancestral perspective, I found spinning incredibly grounding and meditative. 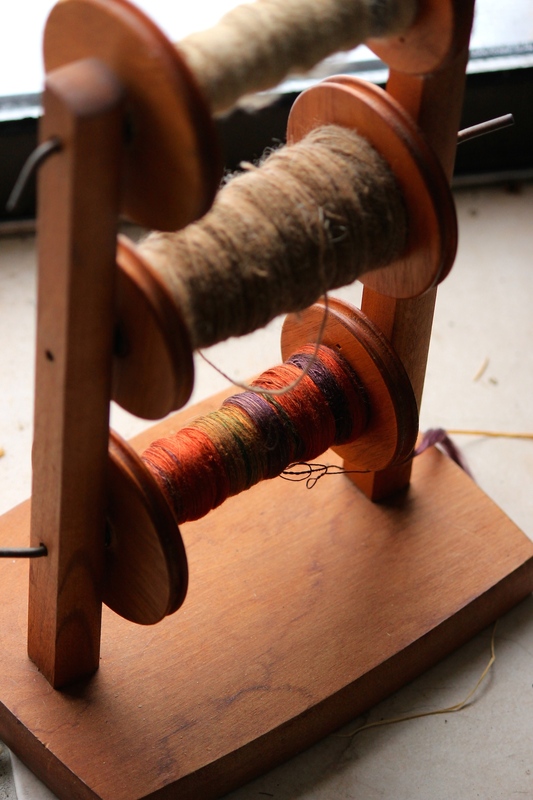 As I spun, it felt as though the yarn moved forward, from my hands, through the flyer and onto the bobbin, as well as stretched backwards, through my centre, through time, reaching back and connecting me to all the women over the centuries who have spun yarn for their families and communities. It was an unexpected and moving experience. Needless to say, most of my weekend was spent sitting at the wheel trying to multi-task…. 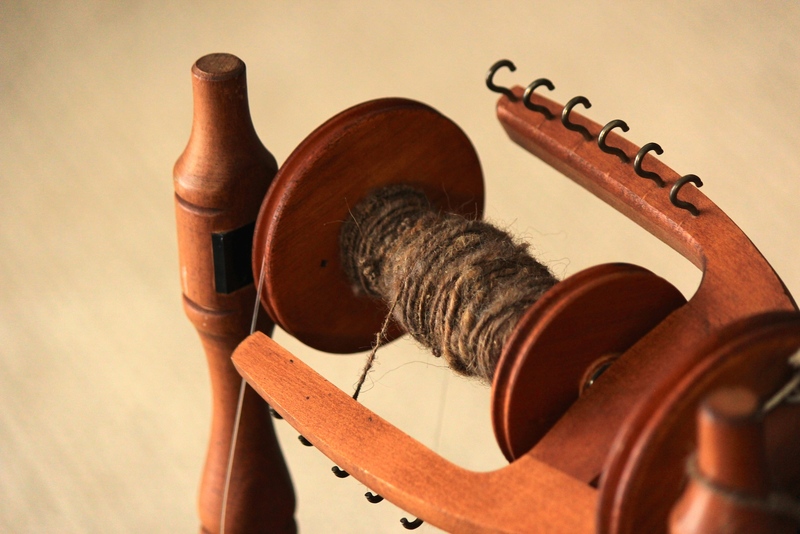 Treadling while drafting the fibre using both hands isn’t necessarily as easy as it may look. It was really hard to get my foot moving and then forget about it to focus on my hands. The yarn already in process on various bobbins was beautiful! And so thin! Yeah, I’m not getting close to THAT for a while yet! 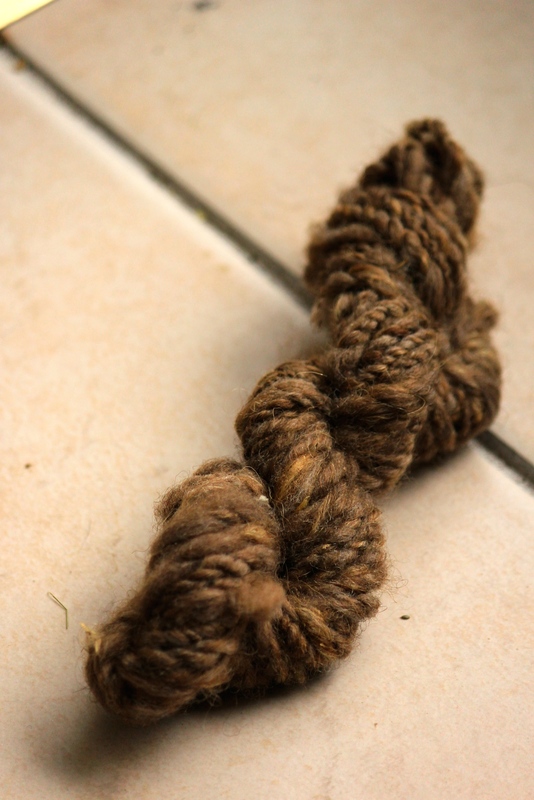 But I did manage to create a small skein over the weekend…which was made even more awesome by the fact that the wool I was using was from the sheep on the property! In process: my very first handspun skein of yarn! Obviously it turned out uneven, bumpy and bulky/lace weight all-in-one but it was made by me and I was pretty darn proud! Washed, weighted and left to dry! My very first handspun skein!! 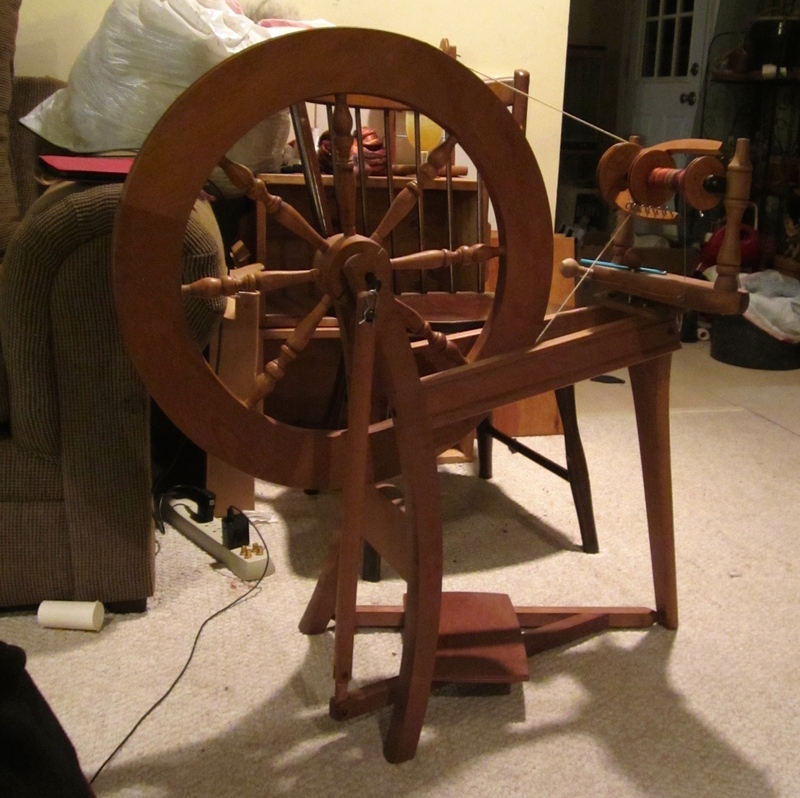 Hooked from the moment I started, I knew when I left a spinning wheel would be making its way into my home very soon! It didn’t help that, to encourage this new addition, I was sent home with a large bag of zombie wool from their sheep! 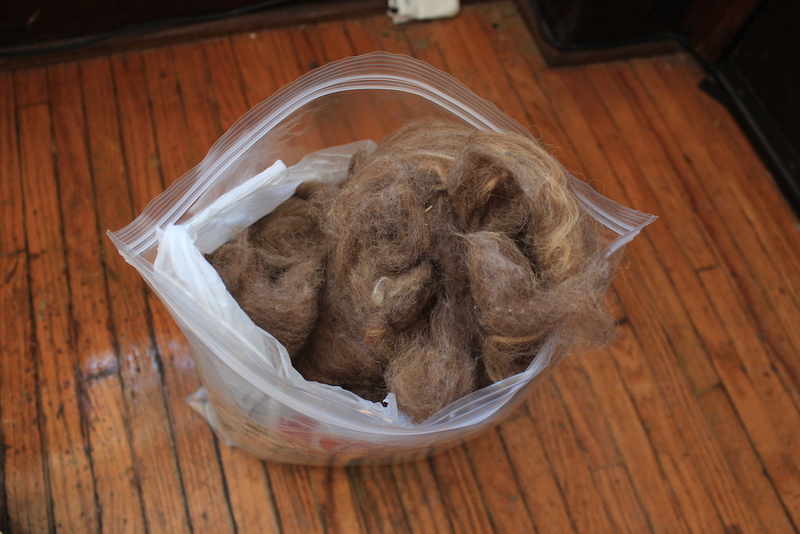 The initial attempt was made…on a dead sheep…which resulted in quite a bit of wool, including the bag I brought home. I just don’t know, yet, what that project will be! Below are more pictures of our trip, the spinning wheel I used and the sheep! 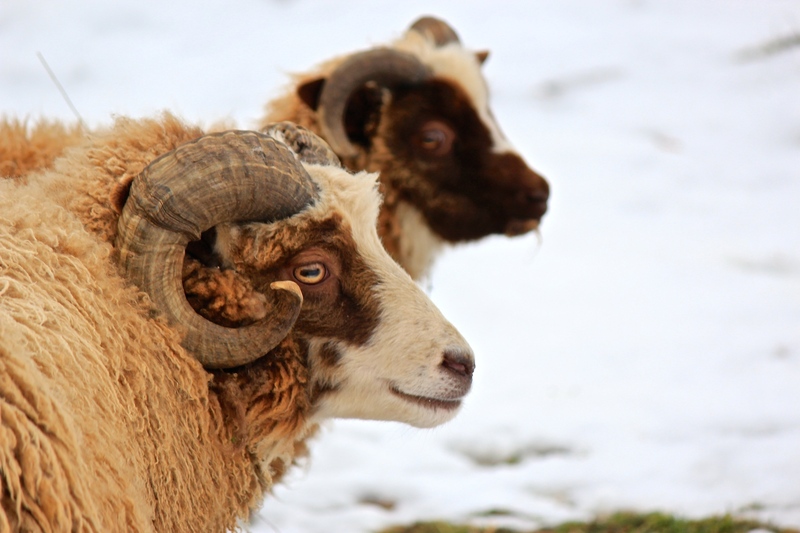 The rams seemed especially regal! loved the blog with awesome pictures, wish I could be with you while you are learning .. something I always wanted to learn. Zombie wool sounds like an apt name to me! 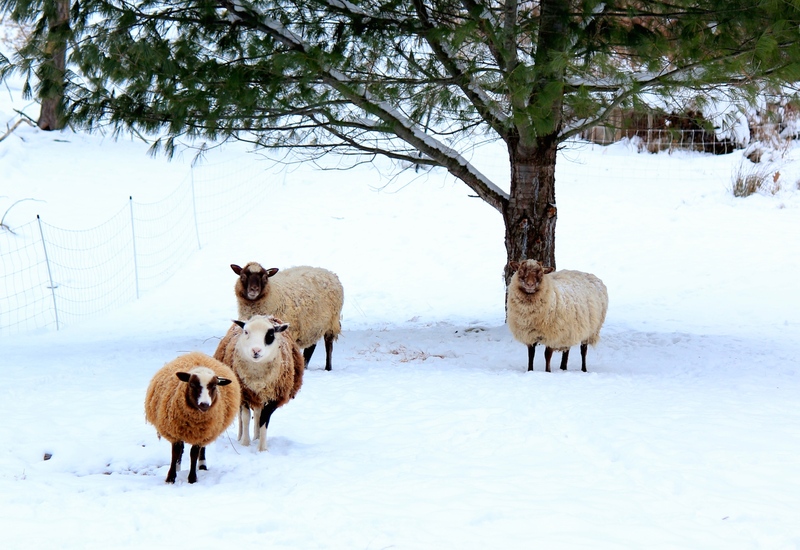 And those are some gorgeous pictures of the sheep.